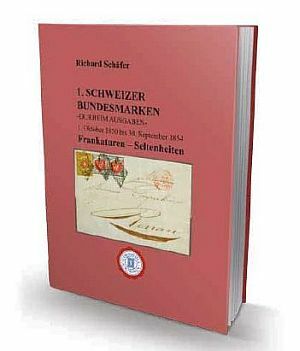 For Corinphila it's an Honour to present the new handbook written by the well known Swiss collector Richard Schäfer sen. After the release of his first Handbook on Swiss Cantonal Stamps in 2014, Mr. Schäfer's Handbook is an usefull addition concerning the research of number of printed stamps, postal usages and rates, cancellations and rarities, including valuation based on auction results of the last decades. Written in German with plenty of usefull information. CHF 99.00 incl. VAT ORDER NOW! CHF 125.00 incl. VAT ORDER NOW!